Lister is arguably known best for tuning Jaguars. But it's also done its own sports cars in the past. And that, apparently, is just what it's planning to do again. This solitary design sketch was tweeted out just a few days ago by Lawrence Whittaker, the managing director who bought the Lister Motor Company seven years ago (together with his father Andrew who serves as chairman). All Whittaker said was that it's a "new Lister Knobbly concept that we've been working on,” but that already tells us enough to get us excited. For those unfamiliar, the company was founded back in 1954 by Brian Lister. Over the years it began customizing Jaguars until it started making its own unique vehicles, powered by engines sourced from a variety of manufacturers, including Chevy, Ford, and of course Jaguar. Under new ownership in the late '80s and early '90s, it launched the Lister Storm – a completely unique vehicle with the enlarged 7.0-liter V8 engine from the Jaguar XJR-9. After the Whittakers took it over in 2012, they brought back one of the company's most famous products – the Lister Knobbly – as a "continuation" model. Then after producing a handful of those, it took to tuning modern Jags like the F-Type and F-Pace. It even announced plans to bring back the Storm as a new supercar. But now it appears to be reinterpreting the Knobbly in modern form. 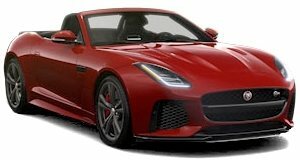 The rendering looks something like an F-Type on steroids, with unique bodywork, all streamlined and hunkered down. Just what might "rest" under that long hood, we couldn't say for sure. But the smart money's on JLR's signature 5.0-liter supercharged V8 – an engine that Jaguar has tuned to as much as 600 horsepower, and Lister has coaxed to 670.